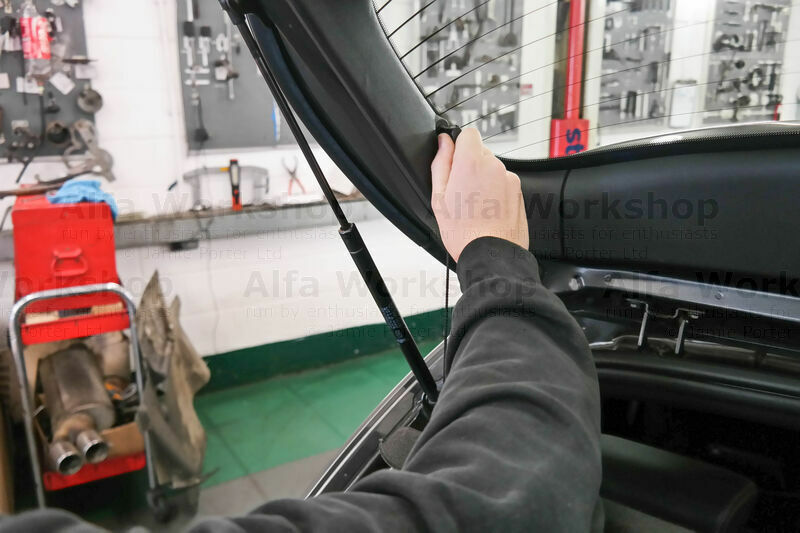 Replacing The Boot Wiring Looms On An Alfa Giulietta. 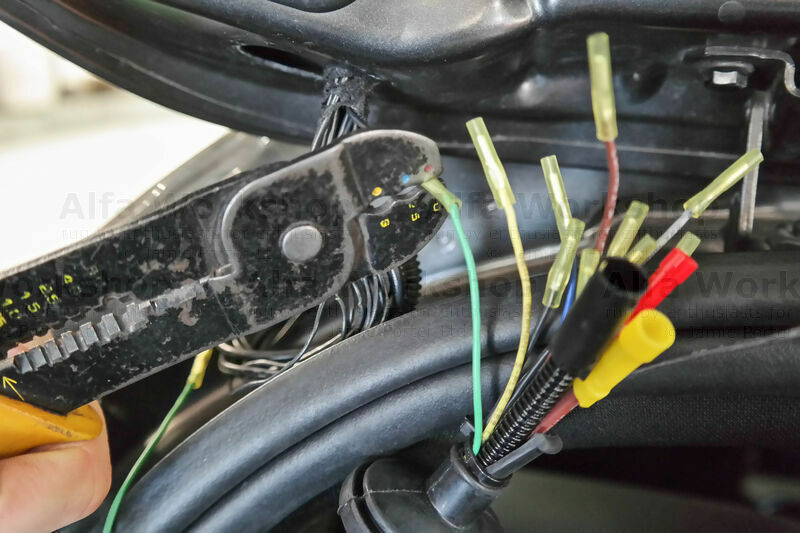 The wires in the tailgate loom tend to break from every day opening and closing of the boot. It's a fiddly job and if more than one wire is broken in the loom (as they are all the same colour and mostly similar in thickness) it's a case of trial and error. 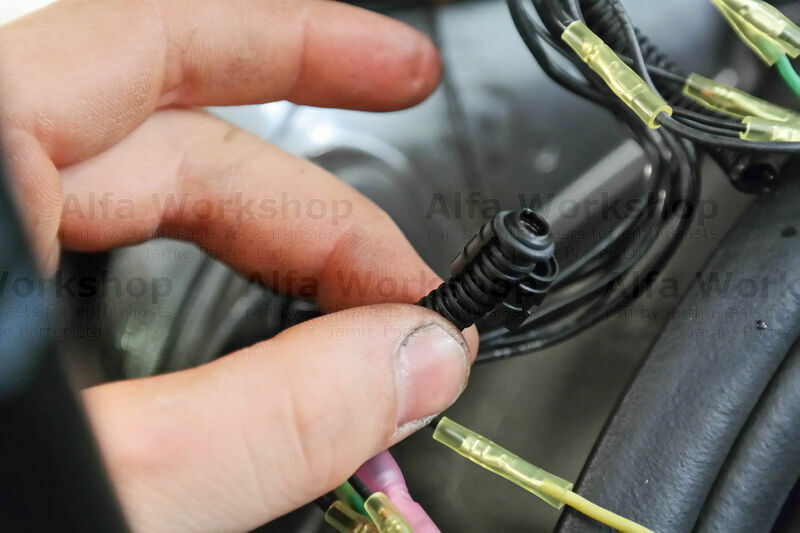 You can BOOK your car in or just look for a QUOTE for replacing the LEFT hand wiring loom or the RIGHT. 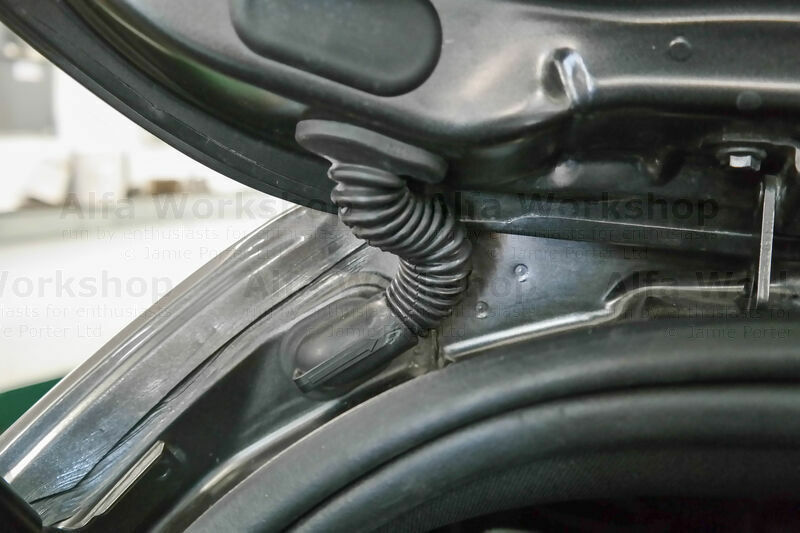 Lift up the boot and unclip the x2 parcel shelf straps. 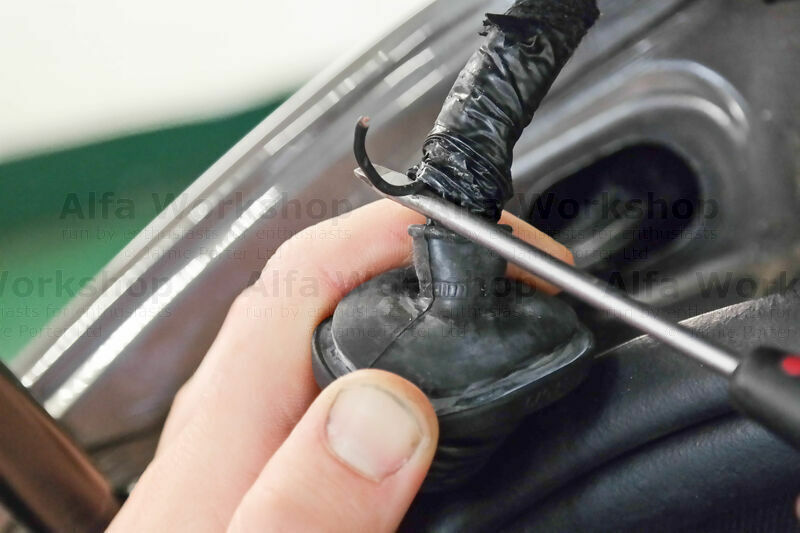 This is the boot covering the LEFT hand wiring loom. Pull the boot out and the excess wiring. 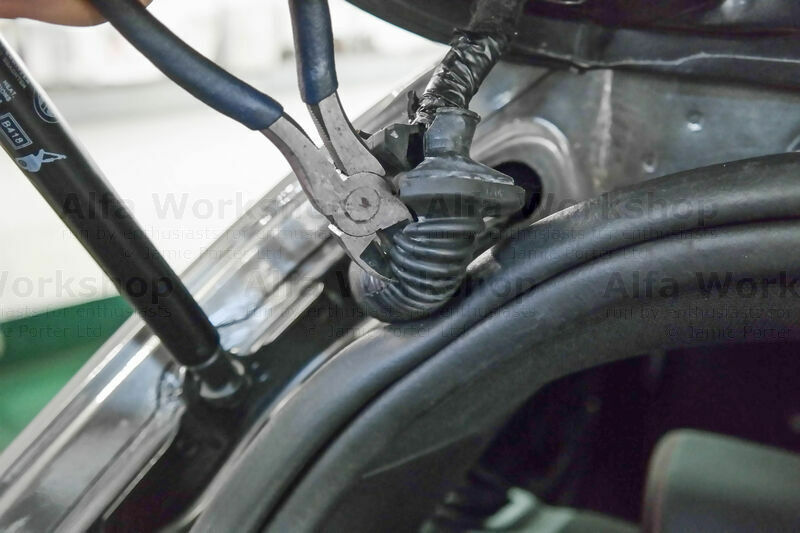 Now pull the boot down until the individual wiring is exposed then start pulling at the wires to see if any broken ones come free. 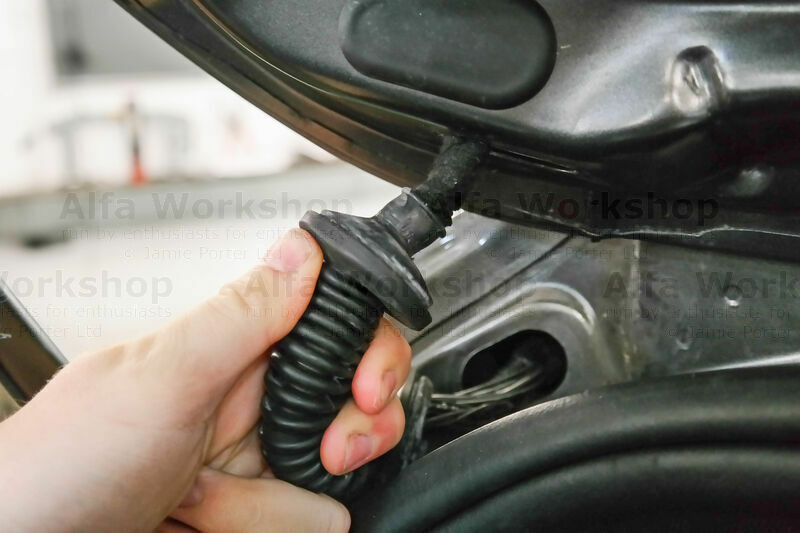 Carefully cut off the old rubber boot. 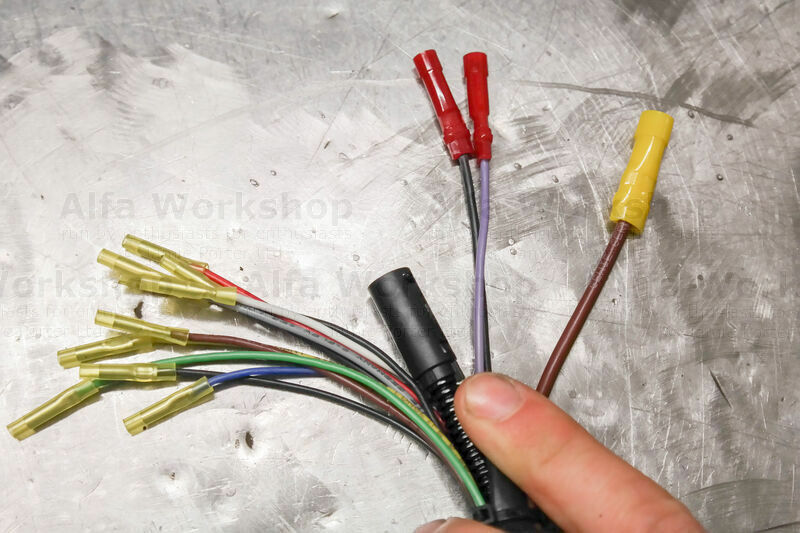 You can now inspect all the wires. 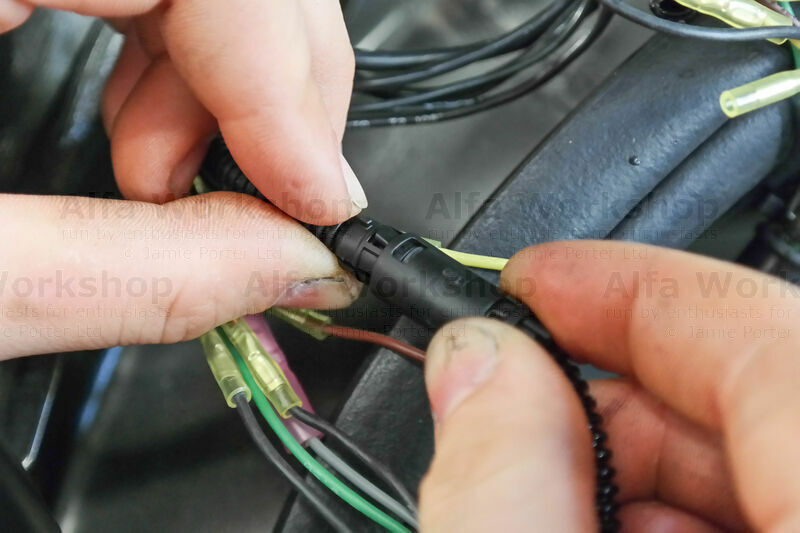 CONCENTRATE AT REPAIRING x1 WIRE AT A TIME. 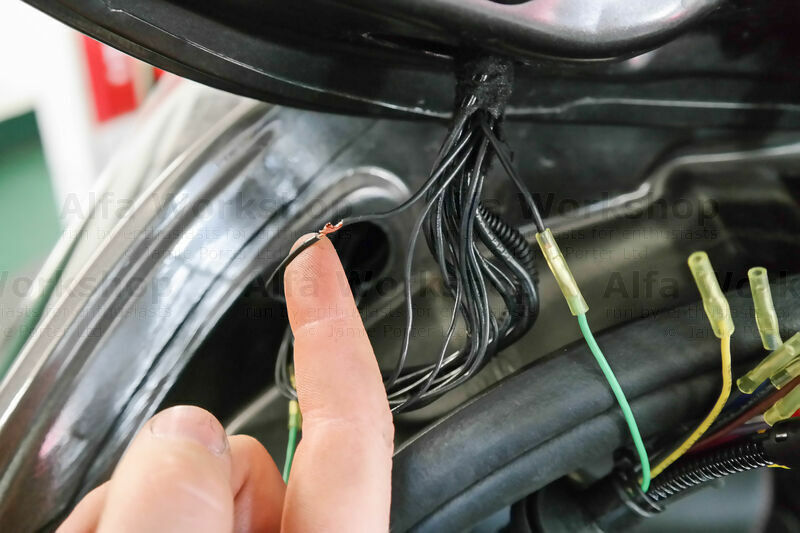 If only one wire is broken then trim off the broken ends. 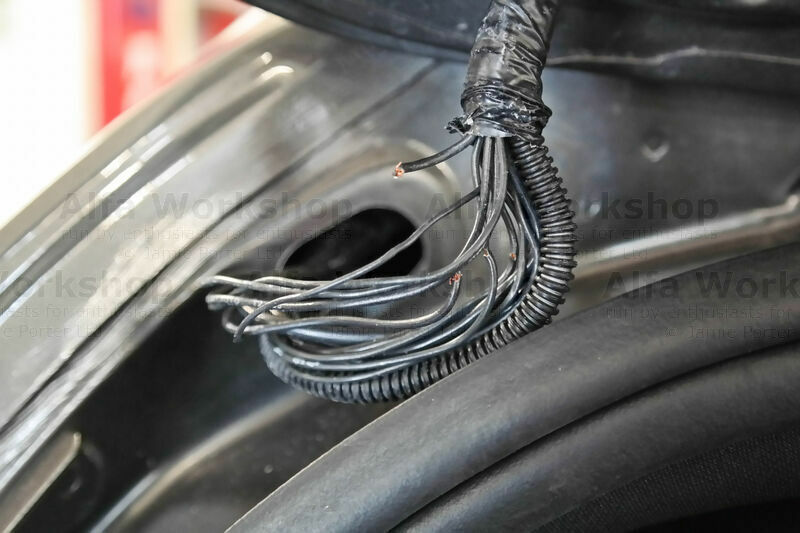 Strip and twist both ends of the old wire. 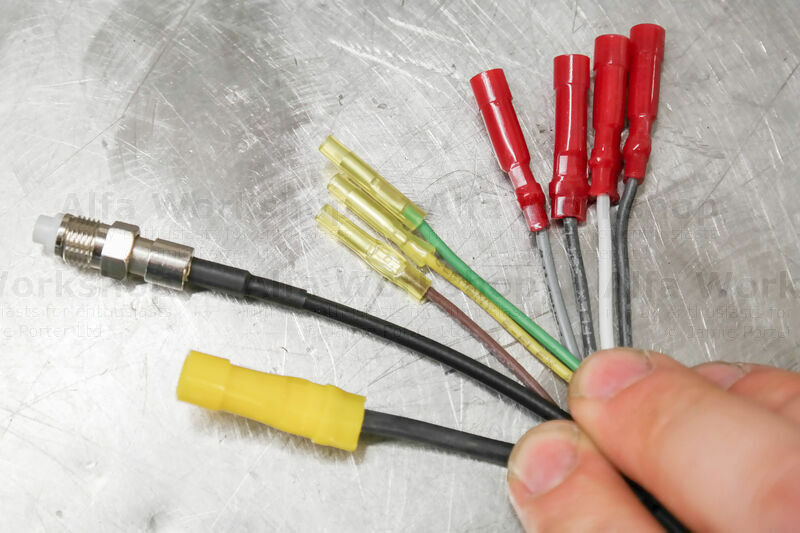 ....and matching the thickness of the wires, take the old upper wire and insert it into the top of the crimp connector of one of the new wires. 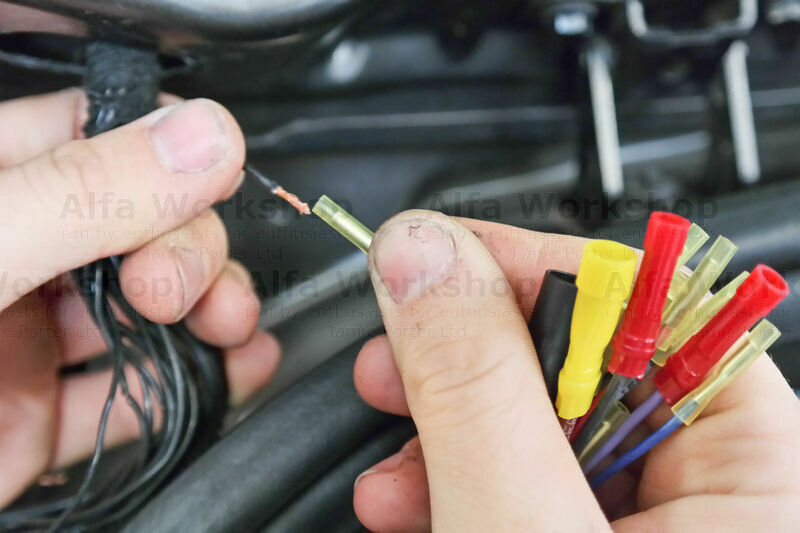 Crimp the connector then do the same for the bottom wire. 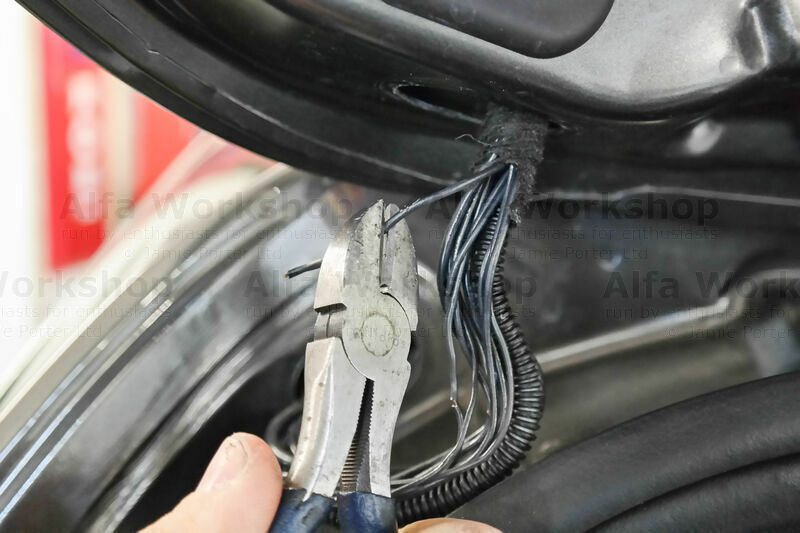 Check the next wire and cut a section out, follow the same process until all the wires have been connected. 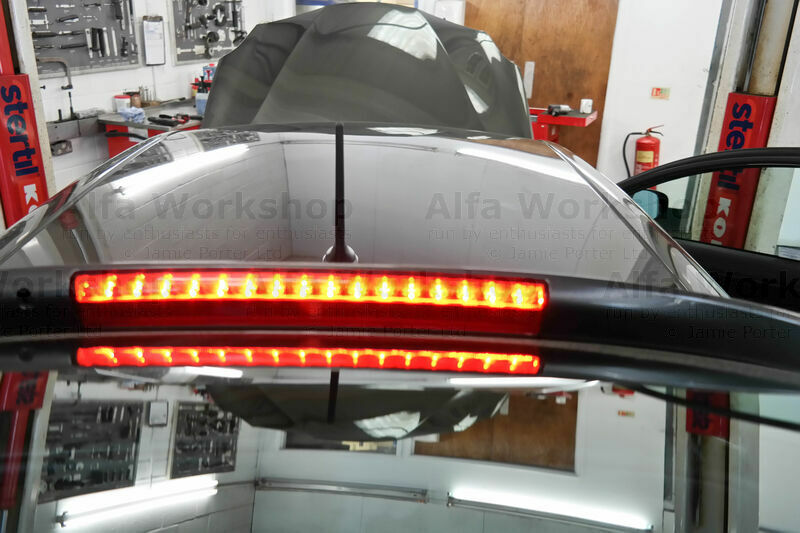 ....and see what comes on (in this case the centre brake light). 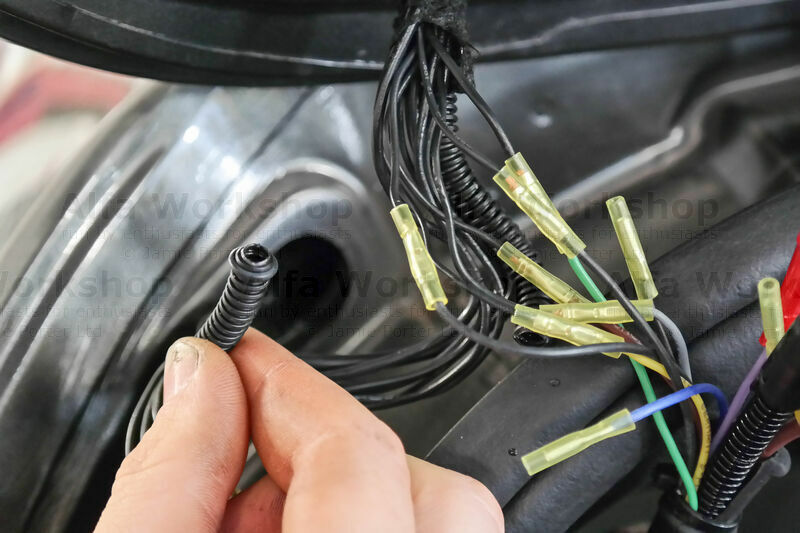 Strip the ends of the wires and twist together the top wire that you had just powered up with one of the broken lower wires. 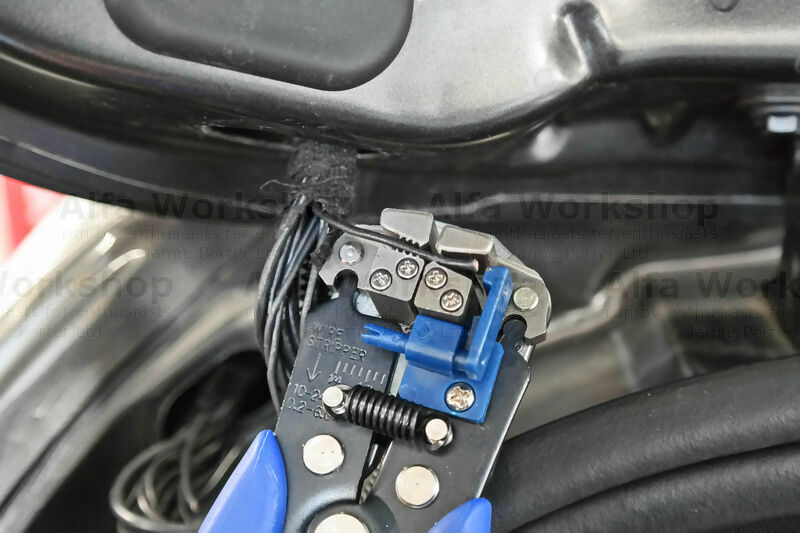 Now try to operate that function as you would do normally, so for our wire we pushed down on the brake pedal. 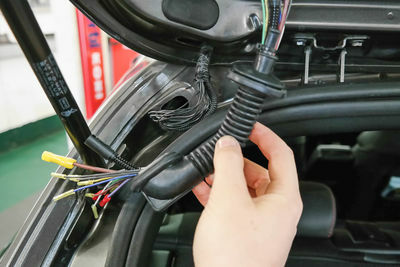 If the light doesn't work then try connecting the upper wire with a different lower broken one until you achieve that function. 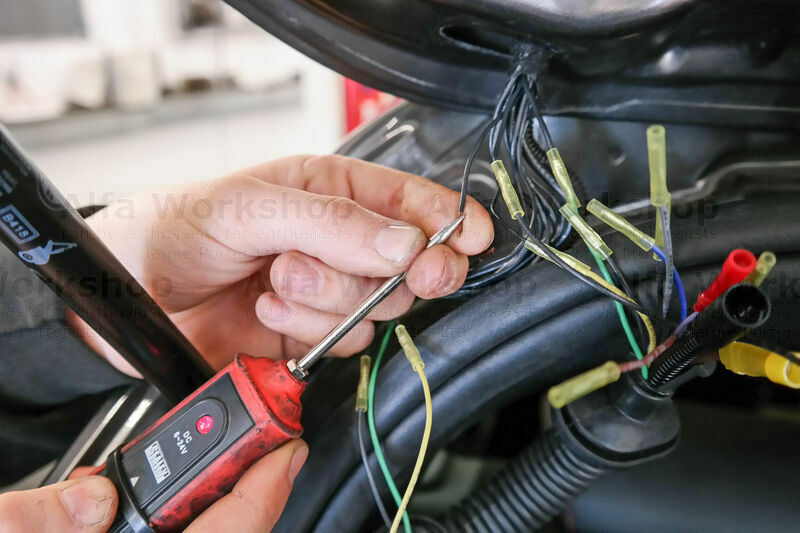 Now crimp the wires to the new wiring loom. To connect the washer pipe cut the old one and place the o-ring supplied on the end. ....as you push it into the new connector. Do the same for the other end.